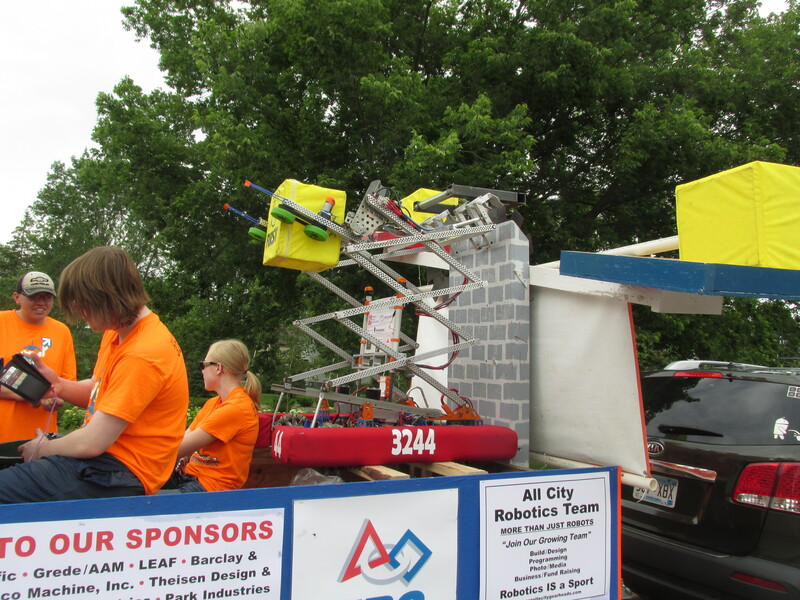 Granite City Gearheads » Blog Archive » Joe Town Rocks (parade)! Posted by Lori Dale On July 10, 2018 Comments Off on Joe Town Rocks (parade)! 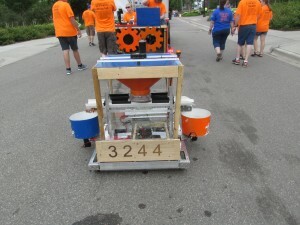 On the 4th of July, the Gearheads participated in their final parade for the year. We had really good luck with the weather. 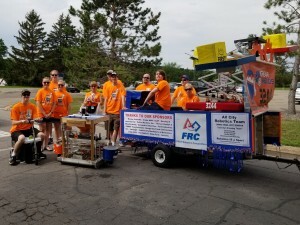 It rained before the parade, while we were getting things ready at Apollo, and after, as we were doing the teardown, but not during the parade! Here are some pictures of the team in the parade. Super Sir Antsabot "climbing to meet the boss"